If you’ve been wondering what I’ve been doing since the 365 day challenge, then wonder no longer. I have been working with 4 writers from refugee backgrounds to make this website called “We See Each Other” as part of my PhD. I cannot thank the writers enough for sharing their talent with me and working so hard. If you feel so inclined, please take a look at the site. For the full experience use Chrome, Firefox or Internet Explorer (Safari doesn’t like audio). This site is in need of a full makeover. Please bear with Freya as she migrates and updates her website. For the time being, please take a look around. One of my favourite aspects of this entire challenge is that often people pitch challenges to me – in order to have things explained. For example: What do vegetarian zombies eat? What happened to my wallet? 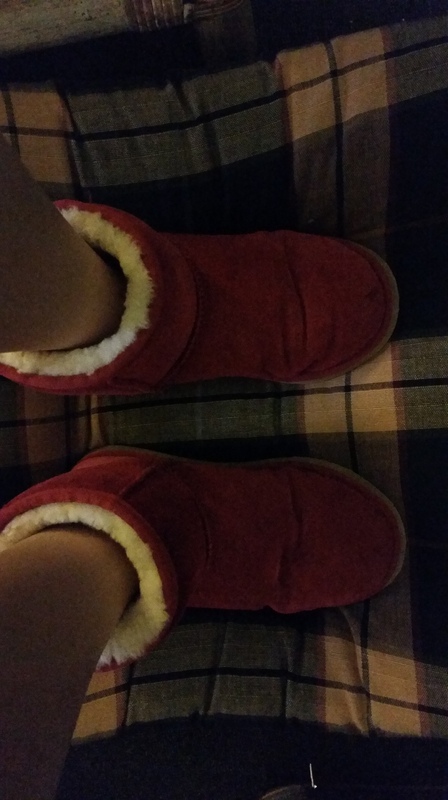 And today: “Why does Kate have Santa boots? I love these explanation stories – not only because they feel more like puzzles – but because I think we tell stories to create meaning out of meaningless. Santa gave her his boots. “What are these for?” she asked, her voice distorted by the torrential tears falling from her eyes. “But I don’t want to be Santa,” she said, her tears had now slowed to a light drizzle. The girl’s face lit up. And so the sisters lived many years together. When the time came, they found a lovely young woman named Kate to take the job. She had a great laugh that suited the job perfectly.